At least 35 bales of used clothes that had been fraudulently brought into the country were recovered on Wednesday in a house located in Jali Sector of Gasabo District. The Revenue Protection Unit (RPU), a Rwanda National Police (RNP) arm attached to Rwanda Revenue Authority (RRA) to fight fraud and smuggling, said that the rental house was being used by one Sezal Jean Claude Ufitinema, the suspected smuggler. Ufitinema was also arrested at the scene. “Police received a phone call from neighbors reporting Ufitinema, whom they suspected to be using the house to run illegal businesses. They specifically mentioned that the suspect would bring things they didn’t know, at night,” Chief Inspector of Police (CIP) Emmanuel Kayigi, the Police spokesperson for the City of Kigali, said. “Police officers attached to RPU and local leaders raided the house on December 5, at about 8pm, the tenant was not in the house at the time. They forced their way in and recovered 35 bales of second-hand clothes. The suspected smuggler (Ufitinema) was also arrested shortly after,” CIP Kayigi added. It is said that Ufitinema was guising as a potato seller and would bring in or take out the smuggled clothes at night. During the day, he would only be seen selling potatoes. CIP Kayigi thanked the residents for the community policing act, and called for continued partnership and information sharing on anything illegal or suspicious in their communities. “If you suspect someone to be involved in illegal or criminal acts just called the Police or other relevant authorities to find out the truth; that way we will be able to prevent a crime or bring offenders to justice,” said the spokesperson. According to RPU, the suspect had evaded taxes worth over Rwf5.5 million. In the first quarter of the 2018/2019 fiscal year alone, RPU recovered over Rwf354 million in taxes. This involve taxes that otherwise would have been evaded, and penalties. 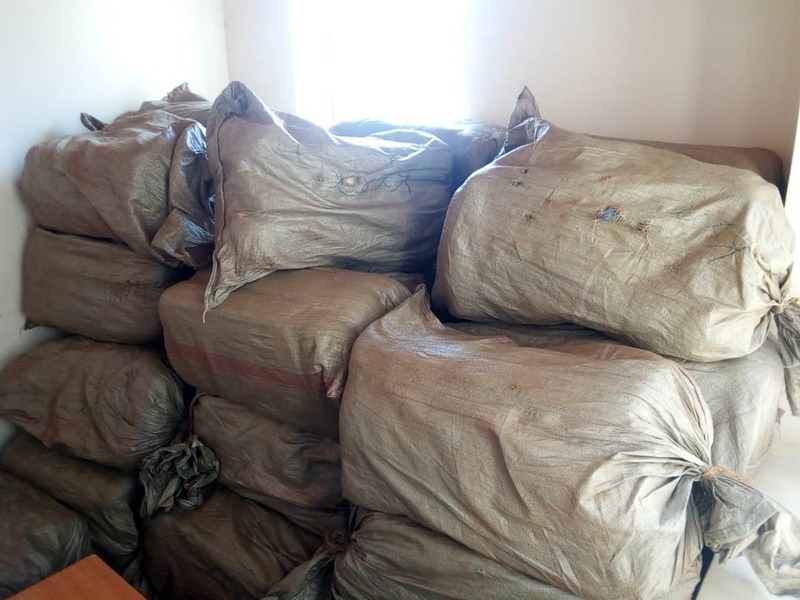 Rwanda Revenue Authority recently announced that smuggled goods worth over Rwf595 million were seized in the 2017/18 fiscal year, with used clothes being among the most smuggled.